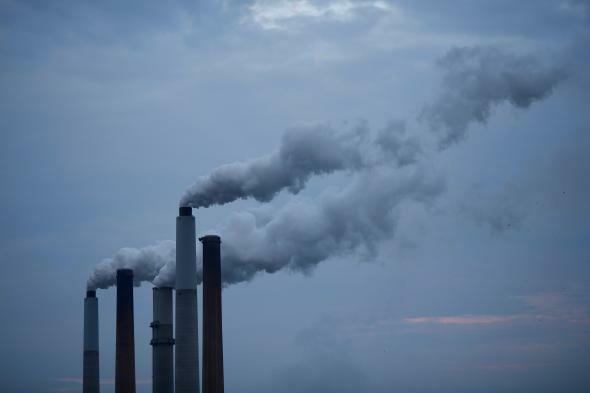 In an effort to address the threat of climate change, a group of conservative U.S. statesmen has outlined a plan that, by 2030, could cut the United States’s carbon emissions by up to two-fifths below 2005 levels. At a Wednesday press conference, the newly established “Climate Leadership Council”— a consortium of Republican Party stalwarts including officials from the Reagan and both Bush administrations—unveiled their plan for a gradually increasing, revenue-neutral tax that puts a price on carbon dioxide emissions. 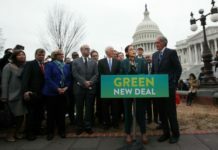 The Climate Leadership Council’s proposal calls for a $40 tax on each metric ton of carbon dioxide emissions, with the tax steadily increasing on an annual basis. All proceeds—an estimated $200 to $300 billion per year—would be distributed back to American citizens in the form of dividend checks. Carbon taxes on foreign imports and rebates for U.S. exports would then keep U.S.-made goods competitive, the authors claim. To limit climate change’s worst effects, economists have long advocated for putting a price on carbon emissions. 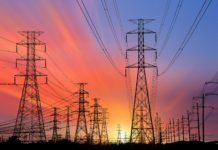 The tax would bake fossil fuels’ long-term costs on the climate and public health into the short-term price, pressuring markets toward adopting carbon-efficient energy sources. The result, according to supporters? An elegant decrease in emissions. Even fossil fuel companies have thrown their support behind gradually increasing carbon taxes, since they would provide stable, predictable regulatory costs. As recently as October 19, 2016, U.S. Secretary of State and former ExxonMobil CEO Rex Tillerson endorsed carbon taxes. If projections hold and the tax is implemented soon, U.S. emissions could drop precipitously. The Climate Leadership Council plan cites a recent U.S. Treasury Department report that shows a similar plan could reduce U.S. carbon emissions by a fifth in its first decade. Additional action in the future, however, will still be needed. Numerous forecasts make clear that current Paris Agreement commitments don’t meet the pact’s ultimate goal: limiting warming to 3.6 degrees Fahrenheit above pre-industrial averages by the end of the century. Consumers would feel the taxes; initially, the plan would add about 36 cents to the price of a gallon of gasoline. But the Treasury Department report finds that after distributing dividends, the plan actually would increase the after-tax income of the bottom 70 percent of Americans. The Climate Leadership Council says that a family of four would receive about $2,000 in payments in the first year. Environmental groups have largely welcomed the Climate Leadership Council’s plan, though some opposed the plan’s call for rescinding EPA authority over greenhouse gases. In particular, the nonprofit Carbon Tax Center has heaped praise upon the Republican proposal. The center’s in-house projection says that by 2030, the plan could cut carbon emissions 40 percent relative to 2005 levels—outperforming Obama-era efforts to rein in emissions. 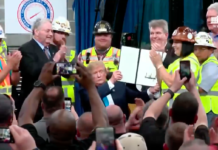 But there is no denying that the Republican plan faces an uphill climb—versus Republicans at the levers of power in the White House and Congress. For starters, President Trump’s economic agenda relies heavily on a resurgent U.S. fossil-fuel industry. What’s more, the early days of his administration have swirled with fear that U.S. climate science—and international climate diplomacy—remain on the chopping block. On Wednesday, the Climate Leadership Council reportedly pitched the plan to the Trump administration in a White House meeting, but Trump is on the record stating that he didn’t support a carbon tax. To some conservative environmentalists, however, the unified Republican U.S. government offers a ray of hope: room to solve climate change in a way that avoids interventions conservatives would abhor. “It’s solution aversion that’s caused conservatives to doubt the existence of the problem,” says Bob Inglis, a former Republican congressman from South Carolina and head of the environmental group republicEn. “But if those of us on the ‘eco-right’ show Republicans a solution that fits with our deeply held conservative values, then I think we’ll see many embrace this exciting, free-enterprise opportunity,” said Inglis.